We’d love your help. 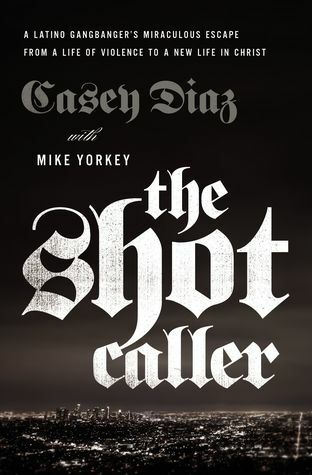 Let us know what’s wrong with this preview of The Shot Caller by Casey Diaz. 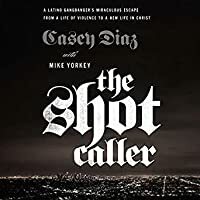 To ask other readers questions about The Shot Caller, please sign up. A jarring biography tearing at opposite ends of emotion: from revulsion to revelation it is a tough book to recommend, but,ultimately, worthwhile. all are what made him the leader he became. well to create a A jarring biography tearing at opposite ends of emotion: from revulsion to revelation it is a tough book to recommend, but,ultimately, worthwhile. When you feel like you have no more options and you find God. It can be the best and most blessed time and it can save you from the darkest hours of life. Most people hit complete rock bottom before getting into religion and some are born into it. Following this telling and open story gives a new avenue for prisoners or people who are hurting a better option and bigger path. Reading Casey’s story is a glimpse into the heart of God. Who would want a violent savage gang member, with years of hate, hurting people, and self destruction? Jesus would! And Jesus is still using ordinary people to do extraordinary things! Casey's conversion testimony is amazing. He is proof that God meets us where we are and loves us no matter what we've done! God never gives up on us!